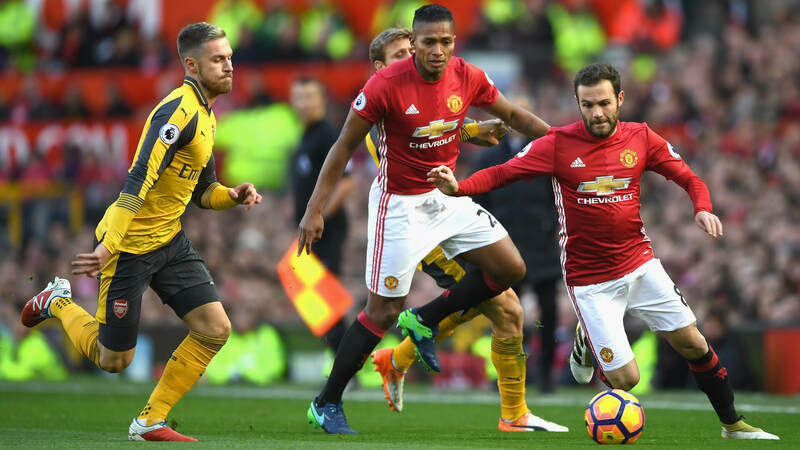 HomeMan UnitedSigning Private Ramsey – Good Idea Or Not? Signing Private Ramsey – Good Idea Or Not? In the previous days, there has been a lot of talk about the players who are in their final year of the contract. There was the talk about several Man United players in such situation and what should the club do about them. However, there has also been talk about Aaron Ramsey and his situation at Arsenal. It is understood that Arsenal have withdrawn their new contract offer and now the situation is that the club will either sell the player this January, or let him leave on free transfer in the summer. He was also linked with a move to Manchester United – surprise, right? – and we will examine if that would be a good thing or not. Or the lack of it. Aaron Ramsey is a player that can deliver many different things on the pitch – he is energetic, he can move in all directions and both distribute the ball and bring it forward himself. But Ramsey has not been consistent enough in the past few years. Ever since 2013-14, he has failed to produce at a similar level. Back then, he had 10 goals and eight assists, being one of Arsenal’s leaders. Since then, he has been inconsistent and often injured. Those two things are a risk Man United would be taking if they were to sign him. The other problem is the current situation club finds itself in. Who will be the manager? Will Mourinho actually get the backing? How he fits into this Man United team? What would be done in January and what in the summer? What system will United play in, as Mourinho seems to be changing things way too often? That is a lot of questions and different answers to them would give us a different perspective on whether Man United should sign Ramsey. One of the advantages of the possible deal is the lower price. If United are to sign Ramsey in January, they would probably not have much competition from other Premier League clubs and the price would not be high. If the club was to risk and wait until summer, then they could even offer the player bigger wages. That is one of the things being mentioned – Ramsey wants a big improvement on 110 thousand pounds per week. If you sign him on a free or close to it, than you can offer him bigger wages. As we mentioned, Aaron Ramsey is a quality player. He would improve options for Mourinho in the middle of the park, especially as there are players who might not be at the club next season. Ramsey would bring his agility and footballing intelligence in the final third for Man United to start playing at greater pace and improve in attack. It’s a tough one. Personally, Ramsey can still bring interesting things to the table and Man United would not be mad to get him at a lower price. However, with everything that is happening at the club right now, this would just feel as another panic buy amidst lack of real direction. 2 Comments on Signing Private Ramsey – Good Idea Or Not? why would he want to sign for a northern has beens in free fall ????? ?